Plato’s Republic hasn’t always received the most positive reviews yet the basic theme of the work is a simple and important one: how to govern society in the best way possible. This question is as relevant now as it was then. Plato answers this question with a philosophical dialogue led by Socrates in discussion with two others named Glaucon and Adeimantus. Recently, I have had cause to revisit The Republic to examine Plato’s descriptions of four imperfect types of society and the corresponding types of individual that each of these societies produce (the timarchic character, the oligarchic character, the democratic character and the tyrant). Interestingly, Plato outlines how each of these individual types comes to be (in terms of their childhood and upbringing). He then sketches their traits in adulthood, and how they conduct themselves in social, political and personal life. How does the tyrant behave when he first tastes power? “In his early days he has a smile and a kind word for everyone; he says he’s no tyrant, makes large promises, public and private, frees debtors, distributes land to the people and to his own followers, and puts on a generally mild and kindly air. But I think we will find that when he has disposed of his foreign enemies by treaty or destruction, and has no more to fear from them, he will in the first place continue to stir up war in order that the people may continue to need a leader. And the very high level of war taxation will also enable him to reduce them to poverty and force them to attend to earning their daily bread rather than to plotting against him. “Very much so”, he replied. For my part, I find Plato’s analysis of the extent of a tyrant’s personal unhappiness particularly useful and insightful. As the tyrant’s power increases, so his unhappiness increases. There seems to be a degree of natural justice in this equation. In this sense, the tyrant is more an object of pity than wonder. And far from gaining ultimate control, it is ironic that the tyrant only achieves further personal enslavement. Plato, The Republic (2nd ed.)(transl. by D. Lee), Penguin Books, London, 1974. It’s been two weeks and counting. I’m still waiting to hear the outcome of the job interview. Now is an opportunity to practice a virtue that is not my strong point: patience. The ancient Greek word for patience is hupomoné (ὑπομονή) from hypo meaning “under” and moné from the verb meno meaning “to stay, remain or endure”. “Staying under” seems like an appropriate definition of patience. The yoke is firmly attached and one just has to keep plodding on in the direction of one’s aim. If I throw off the yoke, abandon the task and walk out in contempt, the opportunity to practice patience has been lost. The Fox with the Swollen Belly. It’s time for me to stop moaning and groaning. Time fixes everything. (1) Adapted from Lloyd W. Daly, Aesop Without Morals, Thomas Yoseloff, New York, 1961, p. 103. There is a proverbial scene in the movie My Big Fat Greek Wedding when Toula’s father plays one of his favourite word games while driving. He says, and I quote: “Give me a word, any word, and I show you how the root of that word is Greek”. I admit to enjoying this game myself (although with more refined grammar and just a little less nationalistic fervour). Sitting in our study on a cold Canberra night working on my next journal article and enjoying a cup of Milo, it suddenly occurred to me … “Milo”. Surely it couldn’t be Greek. Or perhaps it is! 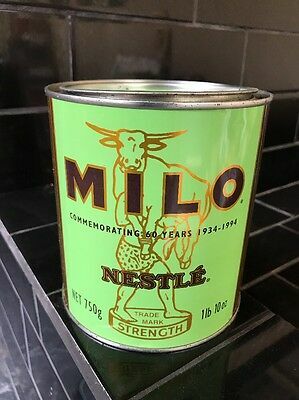 As it turns out, the brand name ‘Milo’ is a reference to the ancient wrestler, Milo of Croton (Croton was a Greek colony in Southern Italy)!! Milo lived in the 6th century BC and was famous for winning no less than six Olympic victories. He is credited with incredible feats of strength, including training by carrying a bull on his shoulders (a printed image of this scene appeared on the first Milo tin labels in the 1930’s). He led an army in a war against Sybaris in 510 B.C. and was victorious. 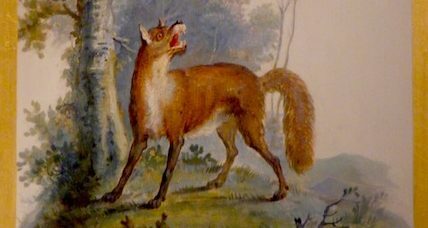 He seems to have been a rather Herculean figure, dressing in animal skins and eating whole animals to satisfy his enormous appetite.